When one thinks about the Symbian OS, one naturally starts thinking about Nokia. After all, Nokia was one of the initial firms contributing software assets to the Symbian platform. The new Symbian^3 build is the first open source version of the platform and includes support for multimedia and full HDMI support for a spectacular television experience. Lee Williams, the Executive Director of the Symbian Foundation says the OS "is almost completely mature." And while it certainly appeared that the Nokia N8 would be the first phone to use Symbian^3, it now looks like an unidentified Asian company will get that honor instead. Williams says that the OS is waiting for final checks before the phone is shipped, "There is a small share of code which is pending checking by its contributors” he explained to Reuters. 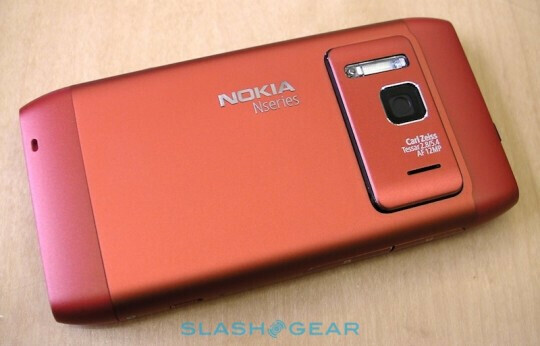 he next build, Symbian^4 appears to be more dependent on Nokia's launch schedule. That build of that OS has an updated UI and other changes and Symbian's Executive Director says Symbian^4 will be mature as soon as Q1 of 2011. As for the recent decline in Symbian's worldwide market share, Williams blames it on the 6 months it takes for developers to get their apps on user's handsets. As a comparison, it takes only weeks for a developer to get a listing on the Apps Store. As we earlier reported, the N8 is expected to run 180% faster than the N97 and is supposed to launch this September overseas, as we just told you.